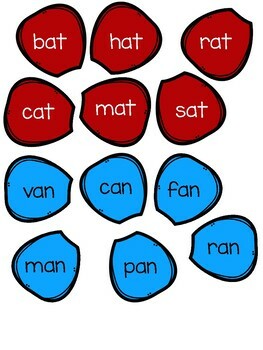 Word family endings are a great way to introduce rhyming, spelling patterns, or for a quick and easy center! 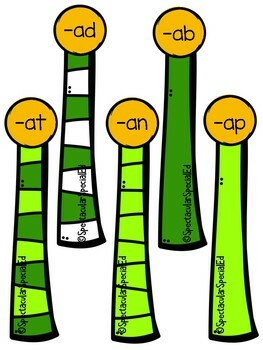 All vowel letters are included, as well as color coordinated flowers to help students who may struggle. Also included are blank petals to add additional words if needed. 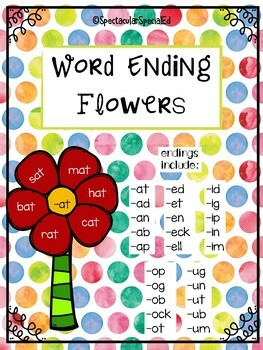 Students can build the flowers by matching the center of the flower to the word endings. Flip the petals over so that students can play it as a game/matching activity. 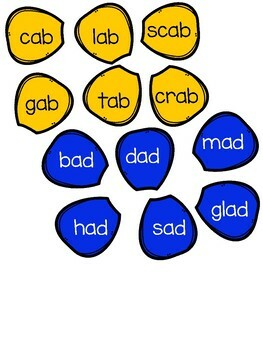 Call out a word ending and have students check their petals to see if it matches the ending you announced.